Once again this Christmas we have launched our ‘Gift of Light’ appeal. For only £6, a light can transform the lives of a student and their family. It will also help the environment, as each solar lantern can save a tonne of carbon every 10 years! Why donate solar lights to Tanzanian school students? Students in the schools we support often walk for up to three hours each way to school. When they get home they have to collect water before they can study. 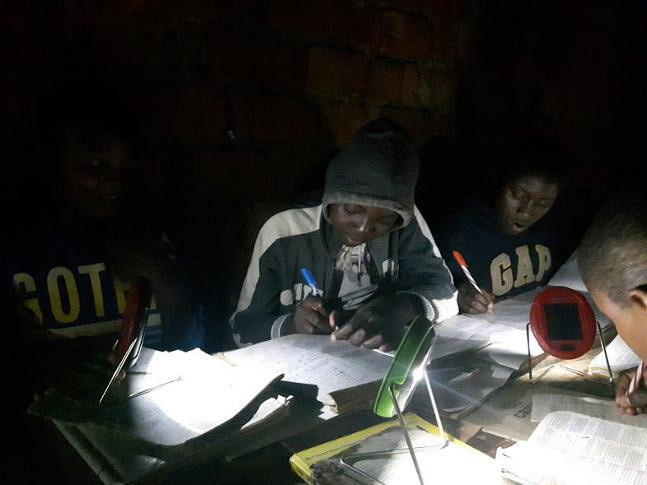 Their villages do not have electricity and solar lights are beyond the reach of their families who are subsistence farmers living on around £1 a day. Yet students are determined to study as they know that education is their route out of poverty. So they learn by candle light or kerosene lamp, when their families can afford it. But this damages their lungs. Your student will have been specially selected to receive a light by their school because of their particularly poor background and dedication to their studies. It’s an easy and inexpensive way to make a real difference!